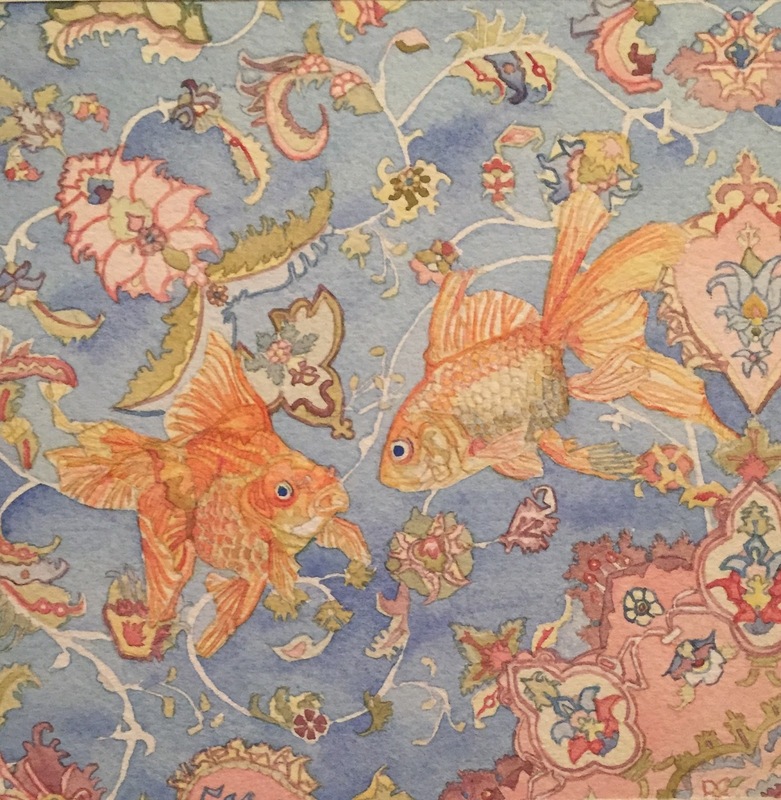 Watercolor artist Eliza Mason will be exhibiting a collection of dreamlike paintings inspired by themes of aquatic life superimposed onto woven patterns. 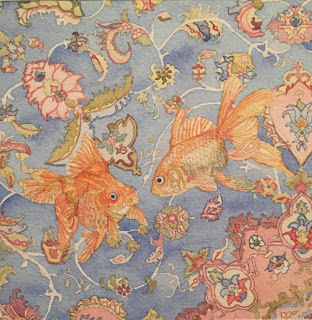 Her small, intricate works are meant to evoke a sense of calm; the old world textiles envelop the viewer in an ornate seascape. More information about the artist at elizamasonart.com.